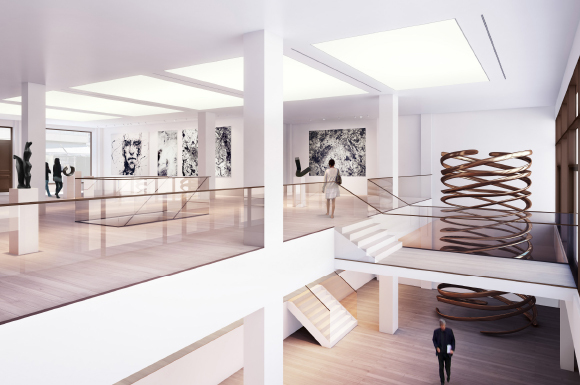 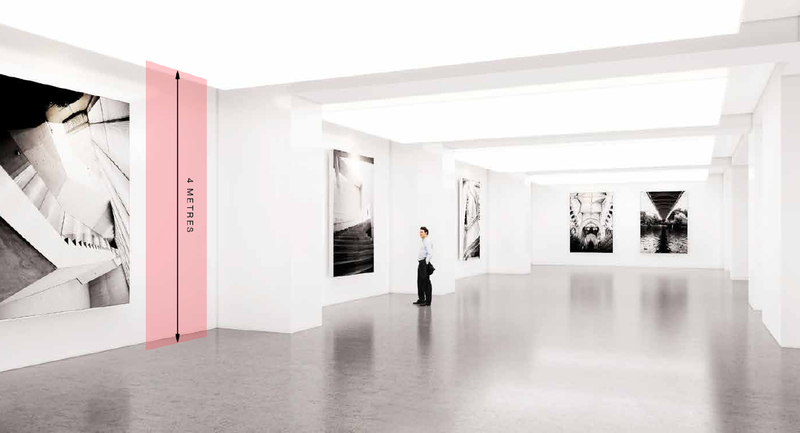 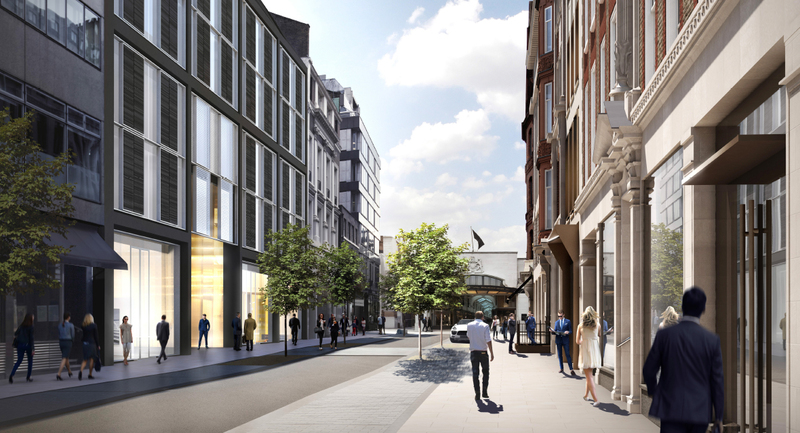 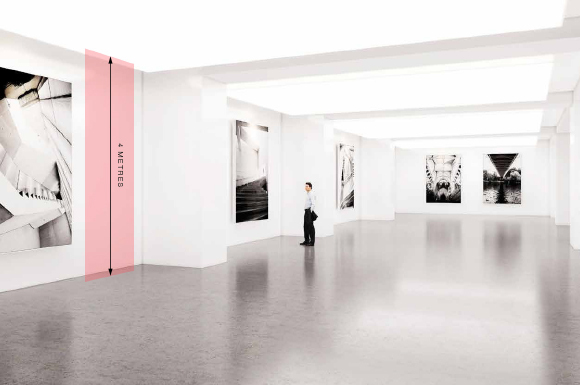 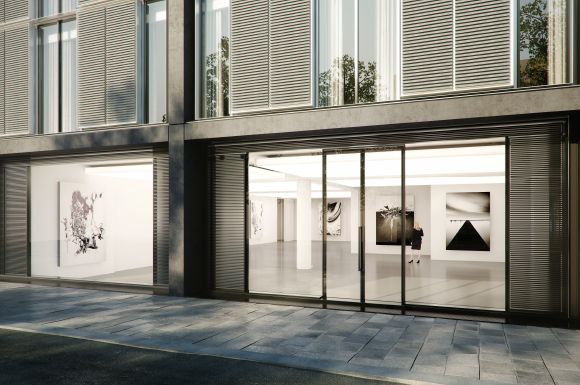 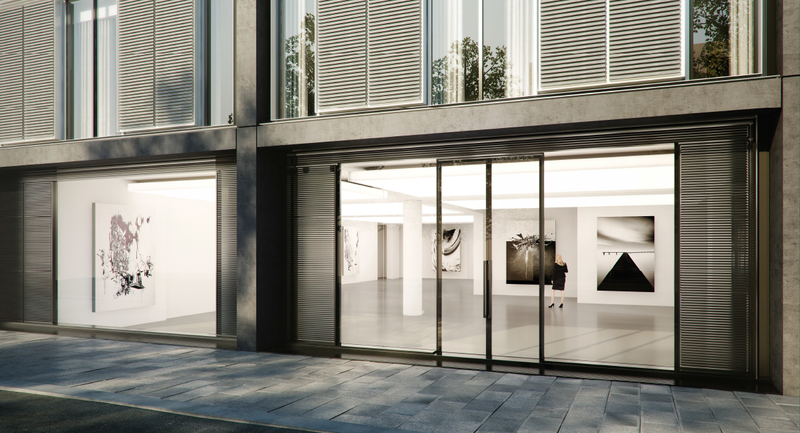 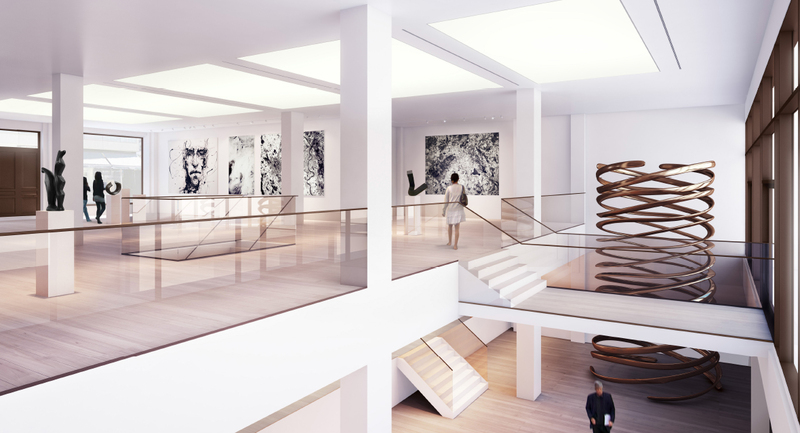 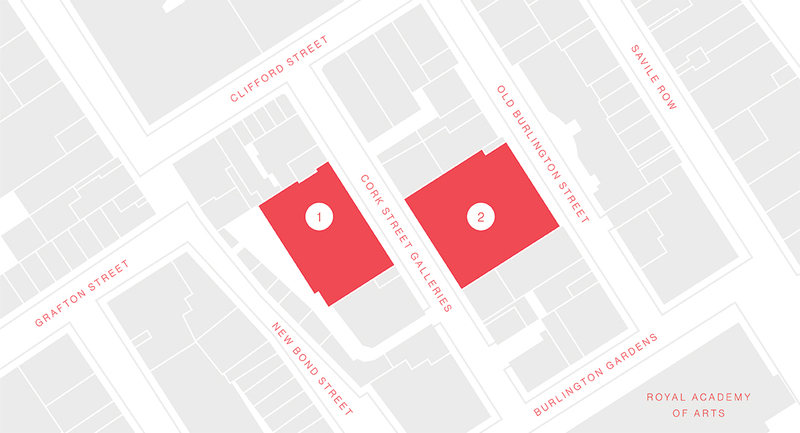 The new developments significantly increase the amount of floorspace in Cork Street, replacing 1,931 sq m (20,800 sq ft) with 4,069 sqm (43,800 sq ft) of large volume, purpose built art gallery space � an increase of 110%. 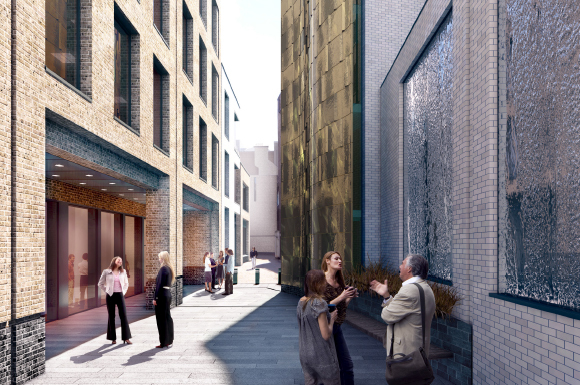 As well as the major redevelopments completing in 2017, there will be transformational improvements to the streetscape of Cork Street. 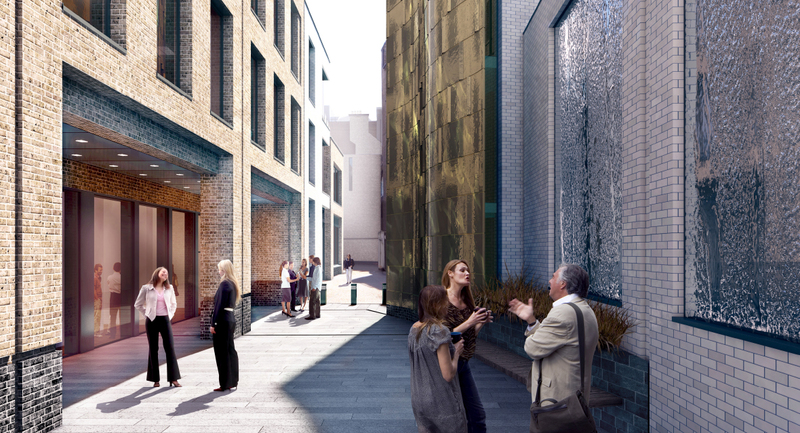 This will be delivered by new, high quality finishes to carriageways and pavements, and improvements to lighting and wayfinding resulting in a new, more integrated, public environment which enables the street to host functions and events to complement the activities hosted by resident galleries. 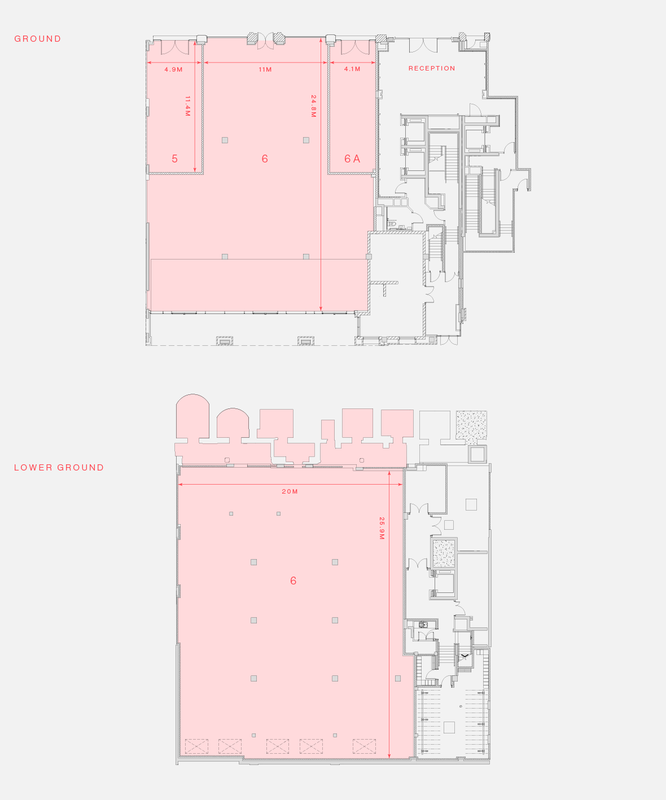 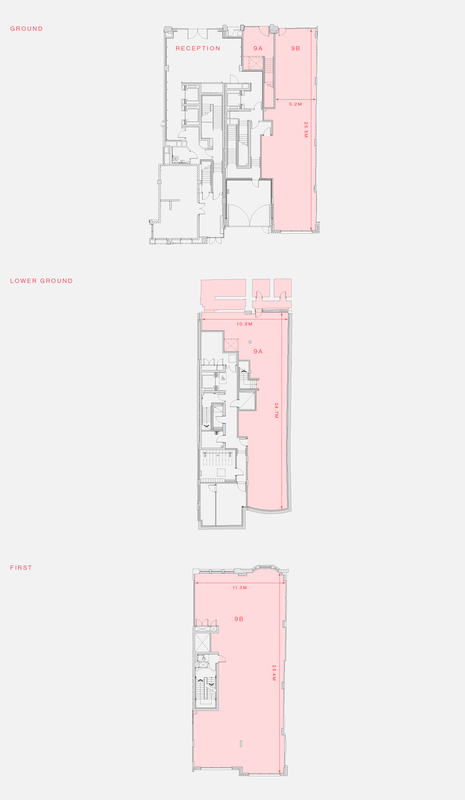 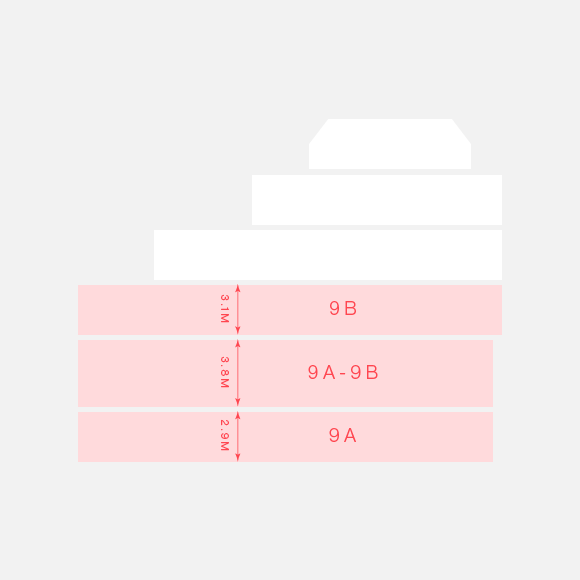 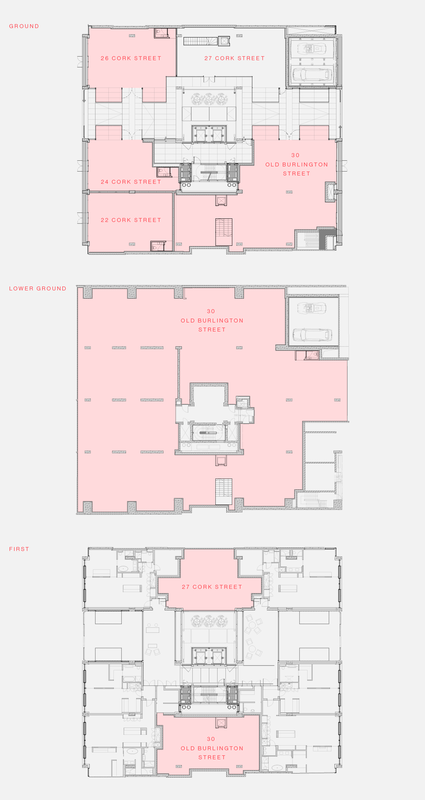 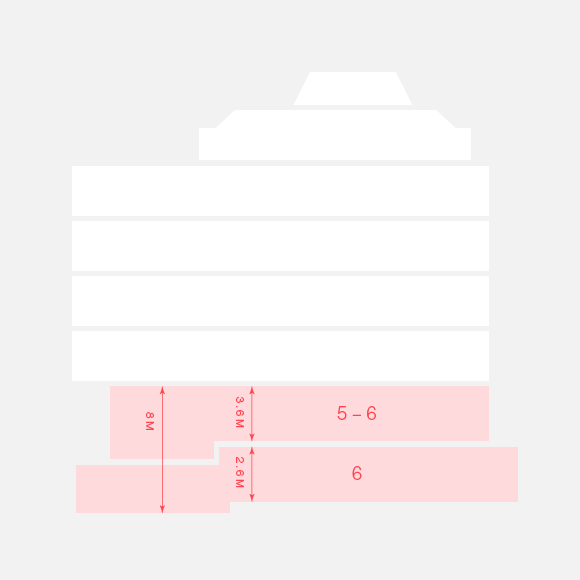 B 2.6 - 8 M 8.6 - 26'3"
Flexible approach to volume possible to create spaces of varying height (up to bm) glazed elevation and courtyard to the rear.